This project is an Fork of the original AE2 in order to port to 1.11.2+ made under the terms of the GPL. The original team has not endorsed this port and will not give you support on it. Please report all bugs here. 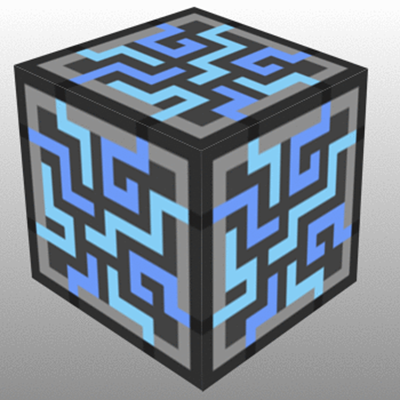 AE2 Mainline is now "out" for 1.12, why should I (you) use this? Issues from AE2's tracker such as #2679, #2654, partially #2625, #2624, #2534, #1004 and #2982 shouldn't be a problem on mine. My P2P tunnels let the outputs extract from the inputs - so conduits should work on EITHER side (but not both unless they let external sources inject via standard handlers). I have native TF/BC wrench integration. Oredict support for Fluix transformation. Ability to remember the search text in a terminal. Mekanism & OC integrations are added back. Quartz wrench updates rotated blocks correctly. JEI notes for P2P attunement. Will it continue to be updated? Can I switch between versions? Some AE2 addons may work with this mod, but they might not due to the AE2 team changing their API. Please respect addon developers' wishes about what they do and do not support. In the interests of compatibility those changes will be considered for integration to AL on a case-by-case basis. Applied Llamagistics is a Minecraft Mod which contains content mostly centered around the concept of using Energy, and the Transformation of Energy in a unique way. Most features relate, or are part of the core mechanic, the ME Network. Modular Robust automation tools and great support for working with other other automation mods. Storage system using ME Drives and Storage Cells and ME Storage Buses. Store more than chests! P2P Tunnels to transmit signals, items, fluids and other concepts over common cables. Less time wasted walking back to your chests when working in your base with the Wireless Terminal. Get more from your mining trips early game with the Quartz Grindstone. Lots of neat decorative blocks like Sky Stone Block, Certus Quartz Pillar, Quartz Glass and Charged Quartz Fixture. It's a pun name, so is inherently meant to be. It is also a reference to 1.11, the first version it was released for. If you can come up with a better one, suggest it. The old mod documentation can be found at http://ae-mod.info/ - doc update coming soon. For now the focus is on bugs. I wish this mod would be revived. It’s a shame to see it not have gotten any updates in one and a half years. It’s such a nice mod! AE2 isn’t very frequently updated and does have a few irritating bugs, and Applied Llamagistics does have nifty features that Applied Energistics 2 doesn’t have. I’d love to see this project revived, but I understand if it won’t. How compatible is it for the 1.12 version to swap over to this one? Does it use the same naming system for worldgen blocks, and things just transfer over? Sorry - wasn't sure if 'versions' in description referred to this of 1.11/12 - if so, would it be as "easy" as getting players to partially dismantle tiles to items during the swap-over? I would not recommend switching to this mod as I have not worked on it in quite some time and am not likely to in the near future. If you do still wish to however, I would suggest taking a backup and trying a simple swap. If things fail, then you'd want to ask players to dismantle networks. It is really cool and much more better than AE2 . This mod don't lags and crashes !!!!! is there a mod review out there? Any way that you could add compatibility with Sonarcore and Fluxed Networks? Currently if used with this you get a crash. No crash happens with regular AE. It should be called applied goatistics. I'd very much appreciate that. You know you've written an awesome mod when players (like me) are tempted to abandon their current playthrough and start a new one on 1.11+ just to be able to use said mod. Well friggin' done, sir! You are an inspiration to us all :) Also double kudos for releasing a replacement for ExtraCells! You could add this mod to your existing pack, no? You would of course need to find some new chunks or delete some old unused ones, but that shouldnt be tooo hard. Edit: unless you mean you're running 1.10 or older? This mod is essentially a drop-in replacement. So things might just work. Hmmm, ok. I'll give it a shot! I'll let you know if it works, and upload a log if it doesn't. Do the blocks and items stay when switching to AE2. I won't risk switching to a beta version just because of addons yet, but once it is released I might. Switching to Llamagistics from AE, I can add whatever is necessary. I wonder why the im/exp- bus does not obey the ore dictionary rules? MC 1.12.2/2491 or is it my mistake?